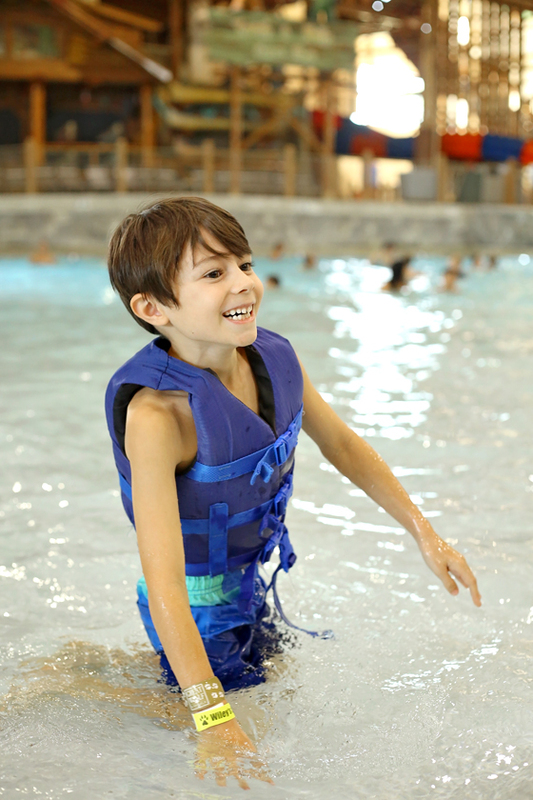 Great Wolf Lodge is an amazing place for the younger crowd. 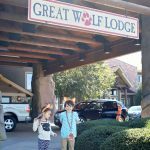 From the time you check in and receive your wolf ears to the time you check out, every part of this rustic, quirky resort is an adventure for the little ones! 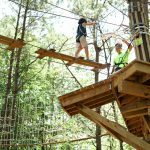 If you haven’t been before, here is a breakdown on some of the awesome activities that you can find there. 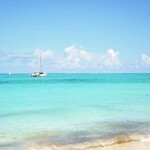 My family was provided a discount for our stay, but all opinions are mine alone. MagiQuest was by far the favorite of our trip, and if you don’t purchase one of the activity passes, this would be the #1 activity I would recommend buying. 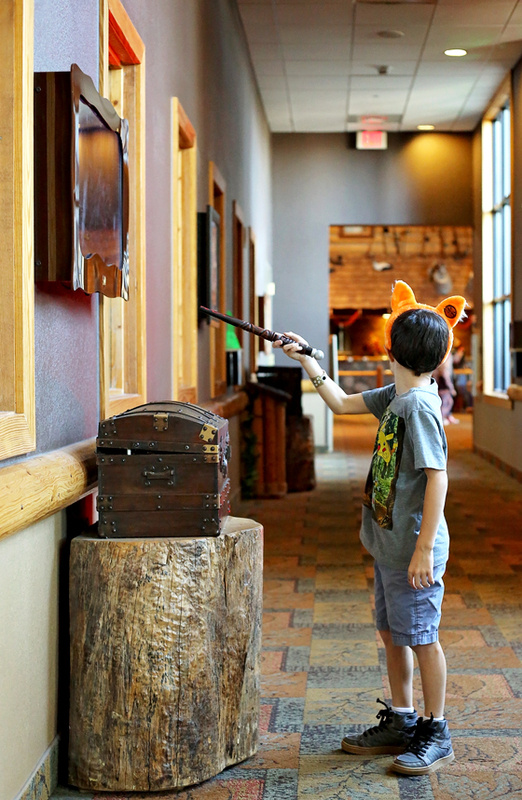 After signing up, you will pick out a wand which is yours to keep, and it can be used any time you visit. If you already have a wand, you can choose a wand topper or Magi belt instead, which is pretty cool. The shop attendant that activates your game will explain everything to the kids, help them register their chosen names, and send everyone on their way. 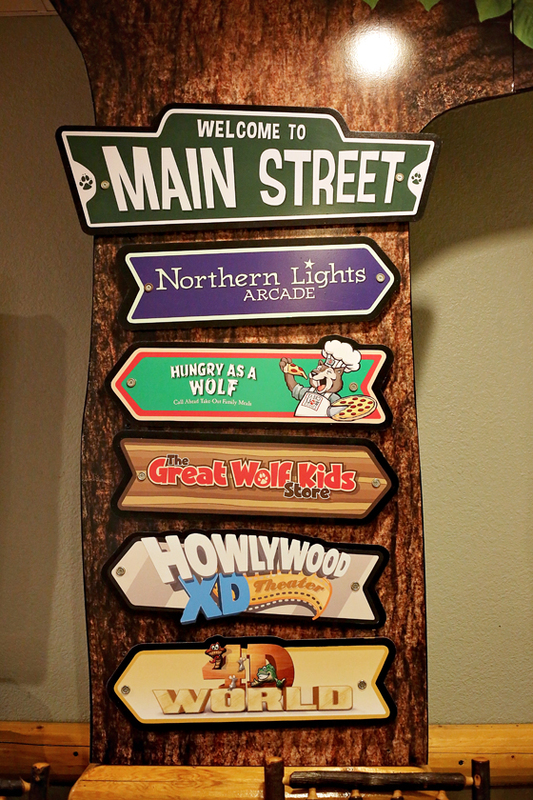 From there you will follow hints all around the resort and “check” them off using your wand as you go. Right now my kids are still young enough to believe in magic, so watching them absolutely light up each time they made something happen with their wands was the best thing ever. They were amazed at all the magic that was going on around there, and we ended up spending hours going through different quests and adventures each day. 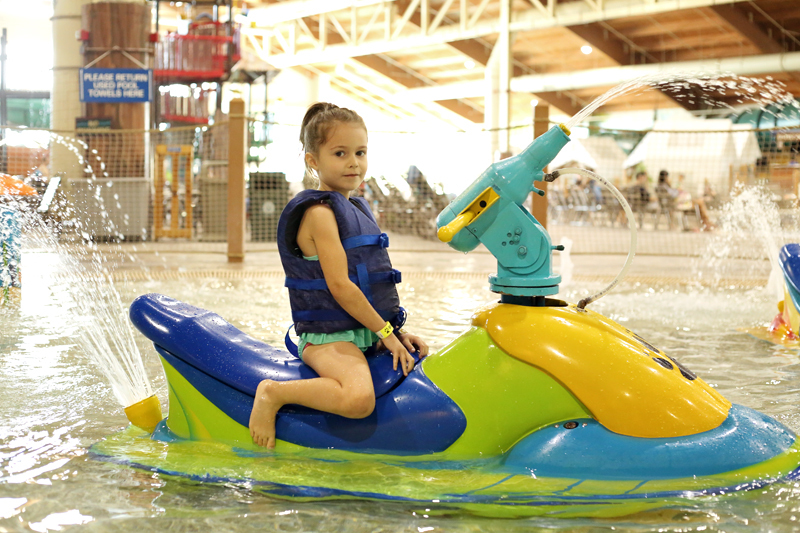 The water park is obviously their main attraction, and every stay comes with full access to the water park from the day you arrive until the day you leave. 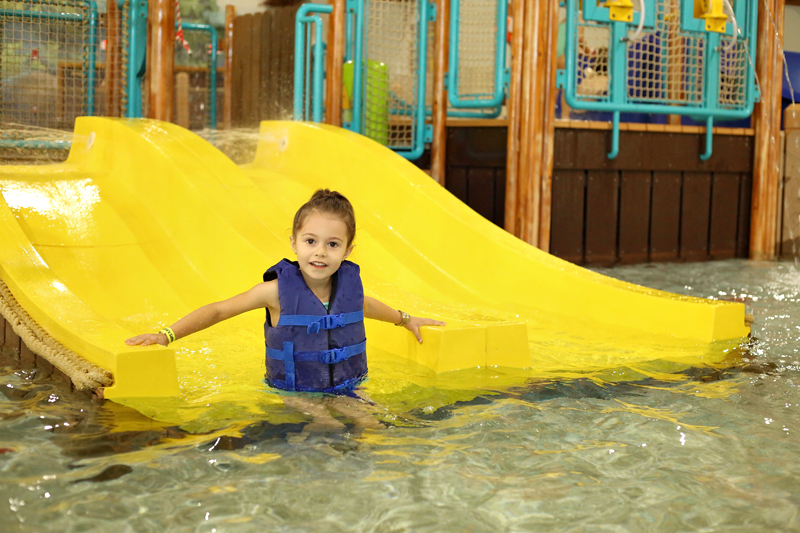 The Concord North Carolina location’s water park is 80,000 square feet and features two children’s areas, a large indoor pool, a huge wave pool, and a hand full of slides that are great for all ages and thrill levels. Both of my kids are water lovers, so there was no part of the park they didn’t want to check out. Kaia was partial to the zero-entry toddler area, as it was calmer and uncrowded. 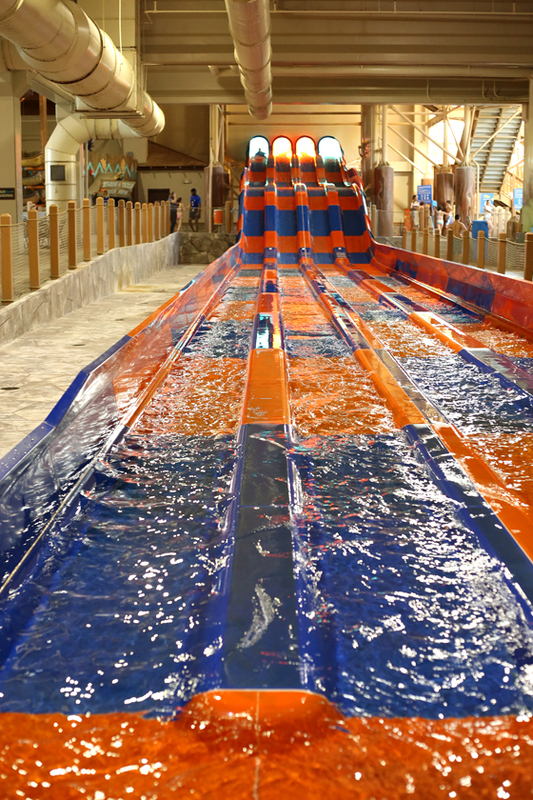 It featured three small slides, a number of stationary jet skis that you can shoot water from, and all kinds of pulleys, levers, and dumping buckets for water play. Judah couldn’t decide what his favorite area was, and divided his days between the big kids area, a million slide runs, and the wave pool. 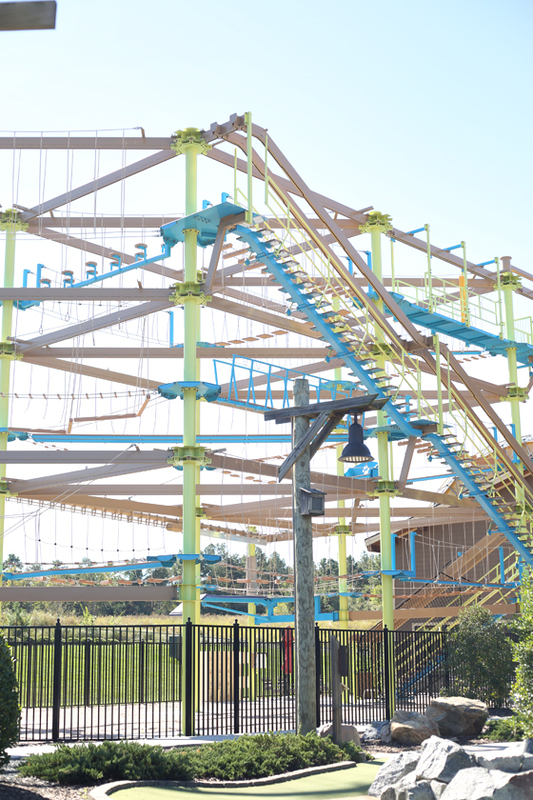 This wasn’t open while we were there, so we didn’t have a chance to experience it, but the Howler’s Peak ropes course looks like so much fun! Judah is a huge fan of zip lines, and he was really wanting to give it a try. If we ever get the chance to check it out, I’ll update this section but for now, here is a photo that I snapped while we were playing mini golf. Doesn’t it look super fun? The mini golf course is outdoors, so keep that in mind if you visit on a colder day. 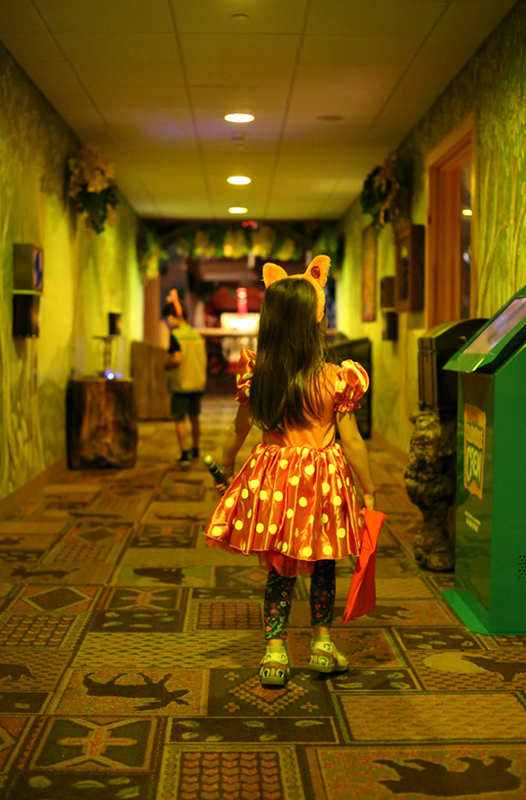 You can purchase a round of mini golf, or do it via one of the passes like we did. 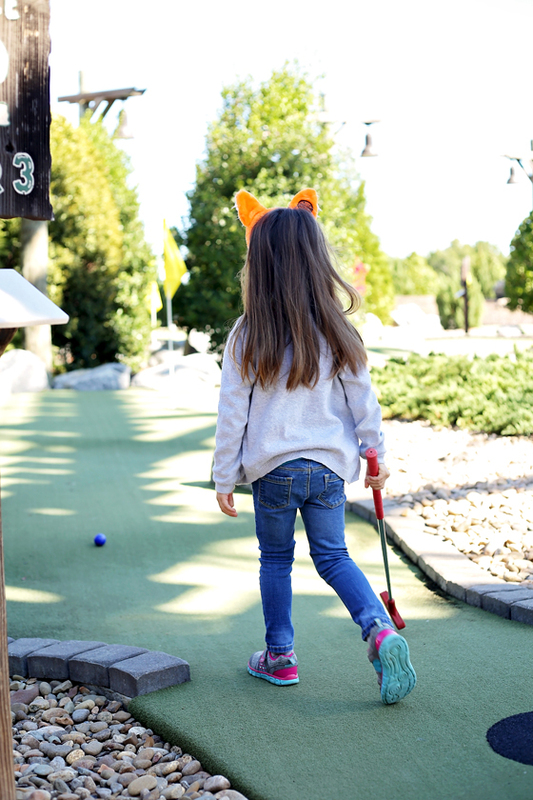 This one is great for the under 10 crowd, and while it doesn’t have all the crazy bells and whistles of dedicated mini golf courses, it was just right for us. The holes are pretty easy to score, and they send you out with enough clubs, balls, pencils, and paper for a few rounds of fun. 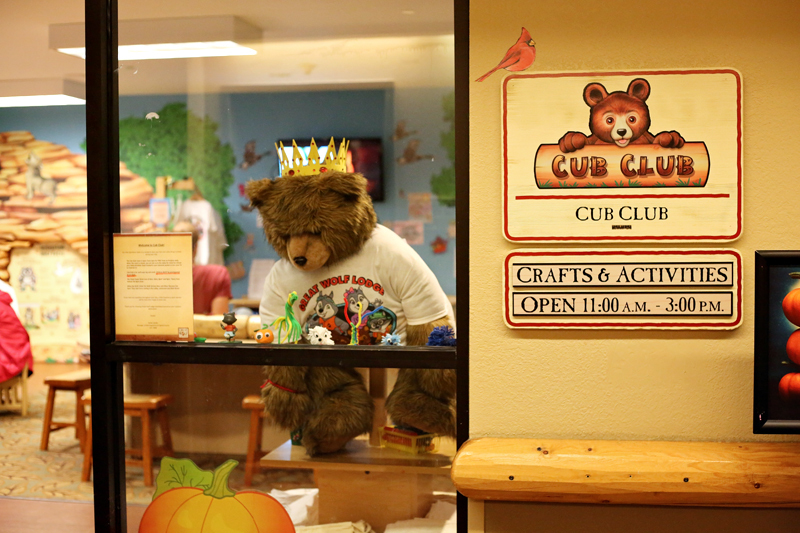 The Cub Club is free to all guests of the resort, and features a full schedule of arts, crafts, and activities that are free to keep (with the exception of a few select items). 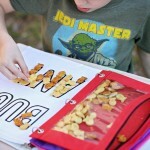 The clubhouse is part creation studio, part playroom, and is stocked to the gills with supplies to make all kinds of awesome creations. 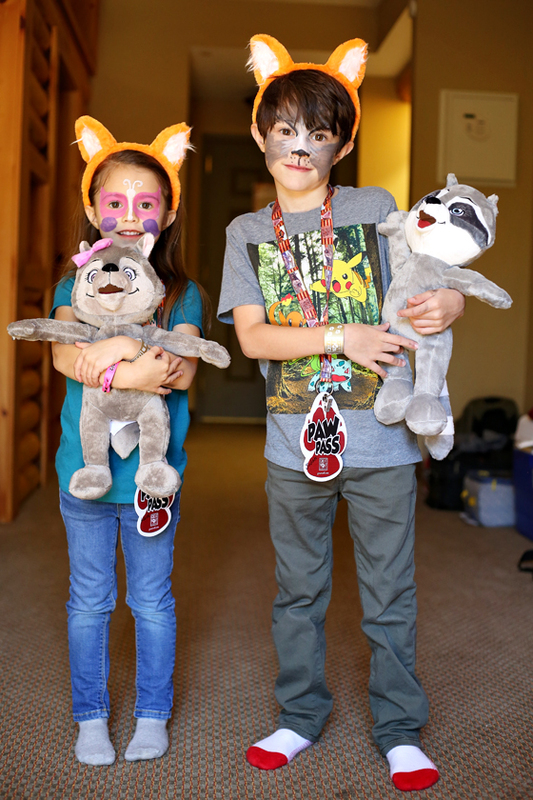 While we were there, the kids got to make buttons to pin onto their shirts, crowns, name necklaces, bracelets, and super cute decorated wolf ears. 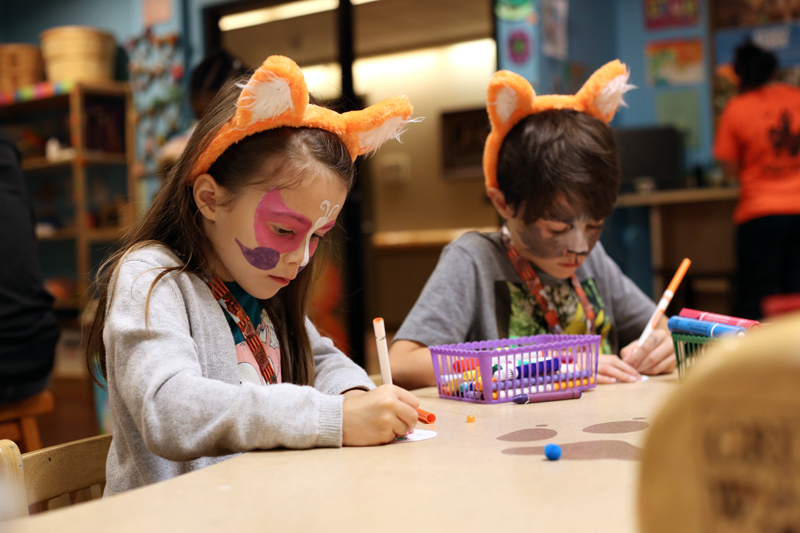 It is open from 11am-3pm daily, and besides the scheduled crafts and activities, you can use the supplies around the room for just about anything you can think of. 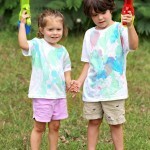 They also carry tons of coloring sheets that you can take with you, and have daily face painting for the kids. Speaking of face painting, this isn’t just some tiny little rainbow on your cheek – this is full face, adorable makeover-type face painting. Kaia of course got a pink and purple butterfly, and Judah got the cutest wolf I have ever seen! 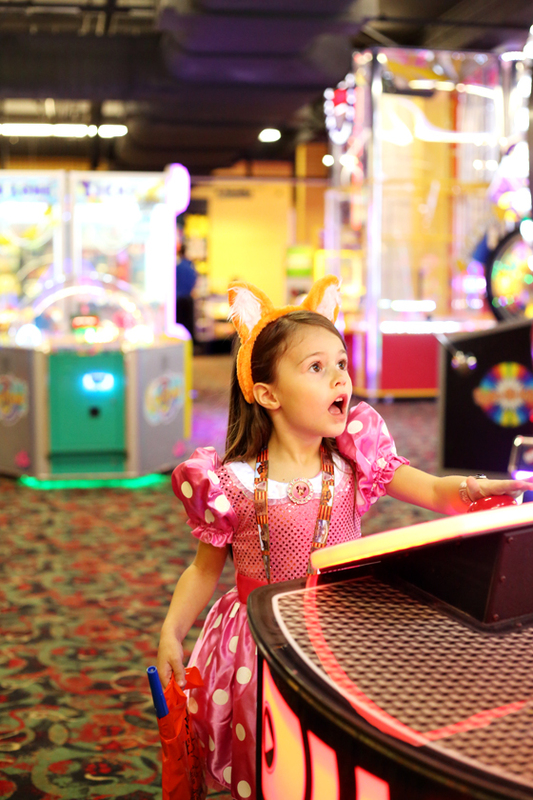 The Northern Lights Arcade at Great Wolf Lodge is pretty standard for an arcade. 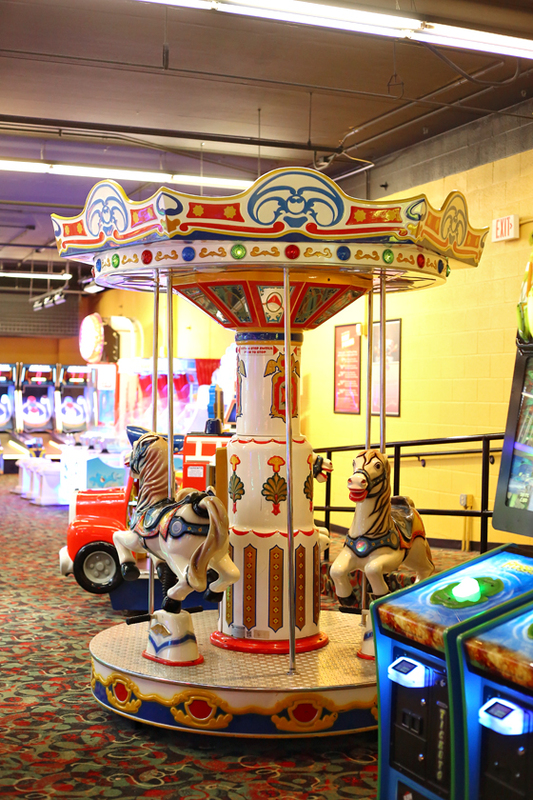 The games are super fun, and if you aren’t careful you will end up spending a pretty penny in here! 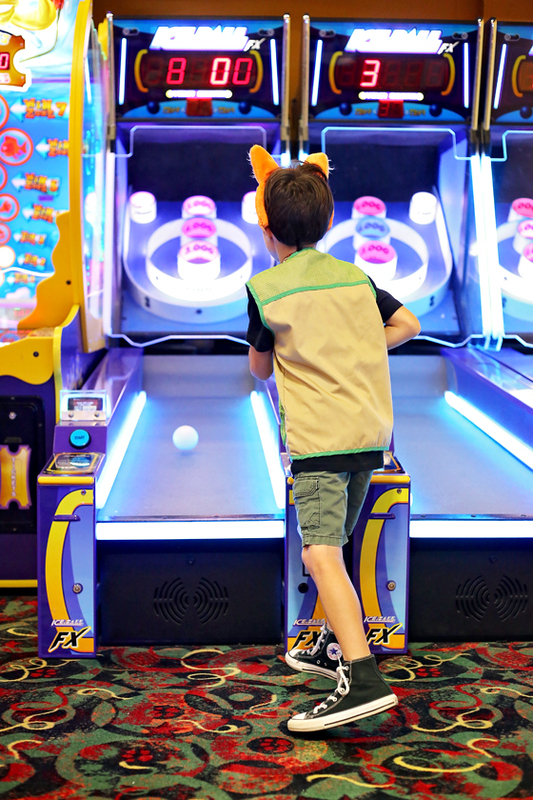 The Wolf Pass and Paw Pass each come with credits for the arcade, but they run out pretty quickly and the kids of course don’t want to stop after just a few games! 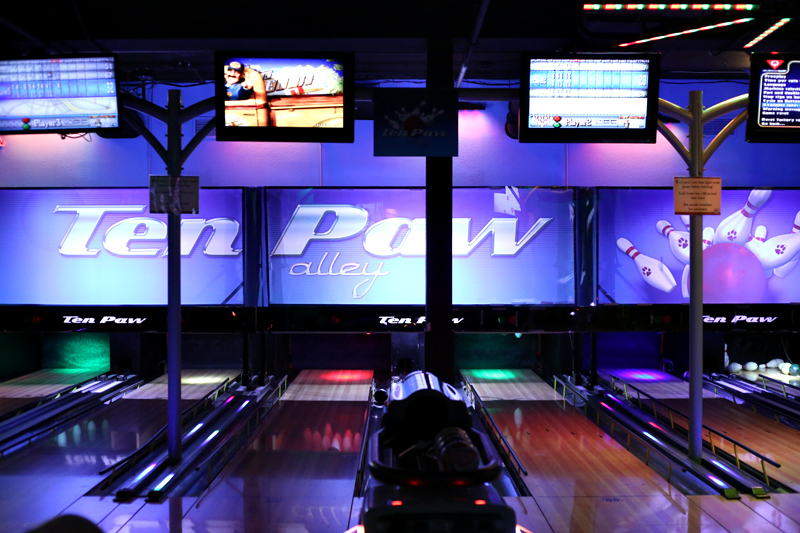 If you like bowling, then head out to Ten Paw Alley for a game or two. This mini bowling alley features six shortened lanes, and has the popular “cosmic” theme going on. 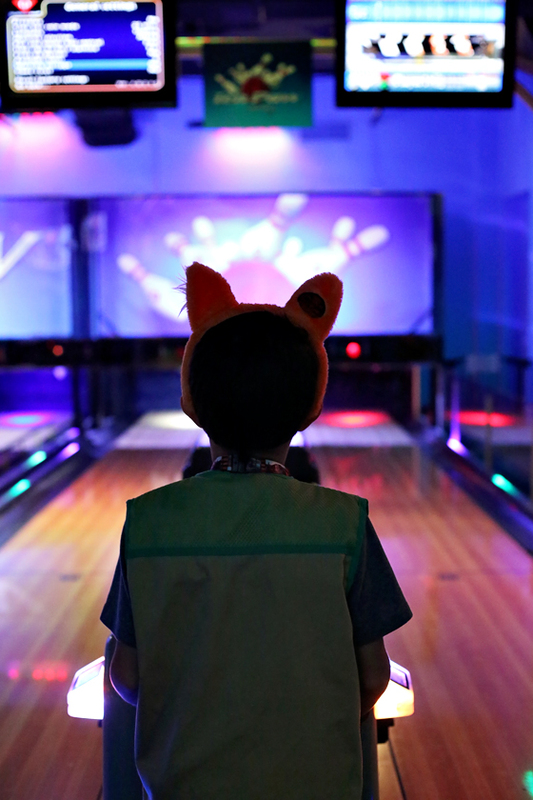 The kids loved it, and with the lanes being smaller, it was a lot easier for them to score well than at regulation bowling alleys. This one is included on the Wolf Pass, but not the Paw Pass, so if bowling is on your list of to-do’s, make sure to go with the Wolf Pass! 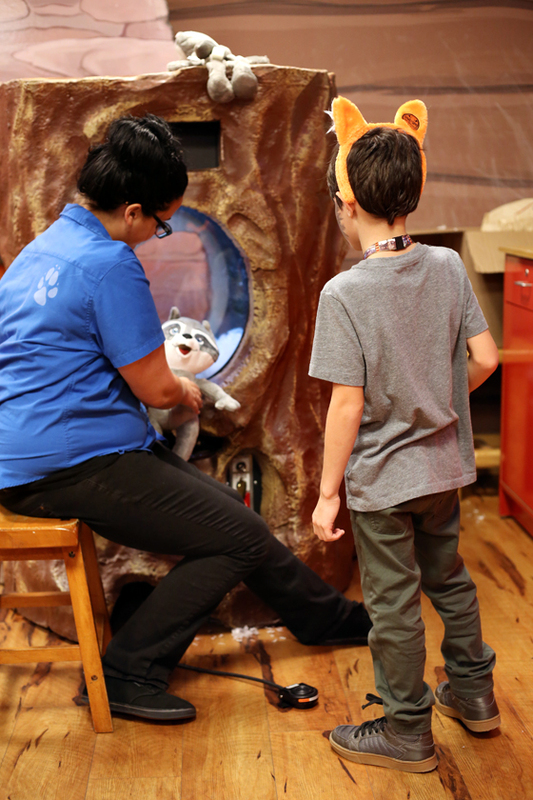 The Creation Station is like Build-A-Bear with characters from Great Wolf Lodge. You choose your animal and it gets stuffed right in front of you. They also have several accessories and outfits for the animals that average $15-$20 per outfit. 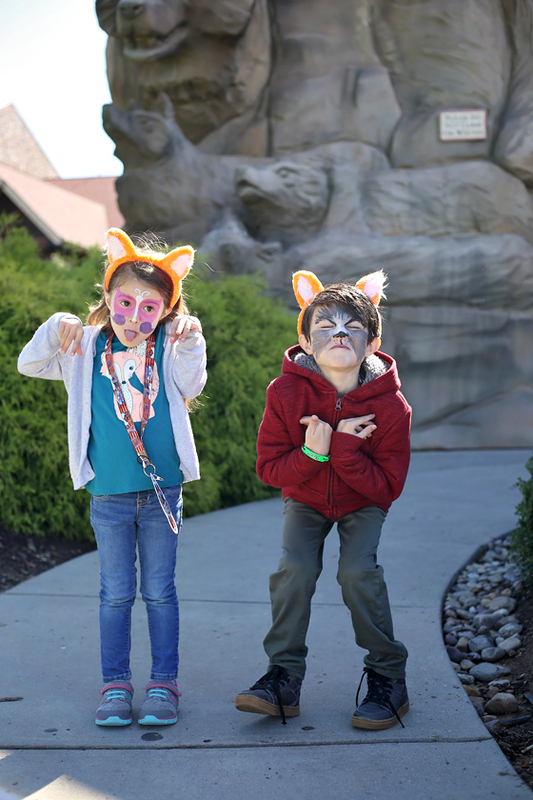 The Wolf and Paw Passes come with one animal included, although an outfit is extra for the Paw Pass, so keep that in mind. 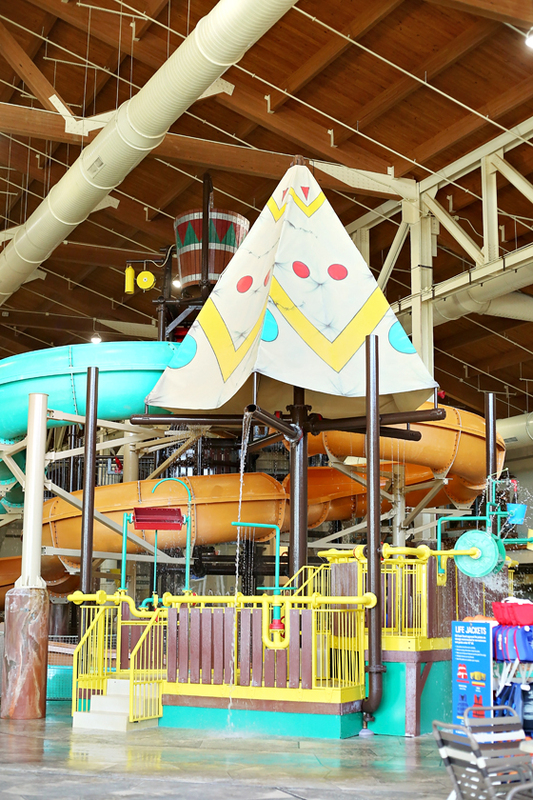 There are other activities at Great Wolf Lodge that we haven’t yet experienced, but when we do, I’ll write them up in a part #2 to this post!